The supreme court in the United Arab Emirates on Monday jailed an Omani man for three years for “mocking the Gulf state’s martyrs” using a mobile phone app, local media reported. Saleh Mohammed Saleh al-Owaissi, 29, was convicted of mocking and harming the reputation of the state by distributing an audio recording on Whatsapp messenger in which he accused the state and its martyrs in Yemen of “cowardice and treachery,” Al-Ittihad newspaper reported on its website. Owaissi was also fined $14,000. Meanwhile, Mohammed bin Rashid al-Maktoum, Vice President and Prime Minister of UAE and Ruler of Dubai, offered his condolences on the death of Emirati serviceman Mohammed Rashid Al Dhanhani, who died in Yemen. Last week, serviceman Abdullah Juma al-Shamsi was killed in Yemen. 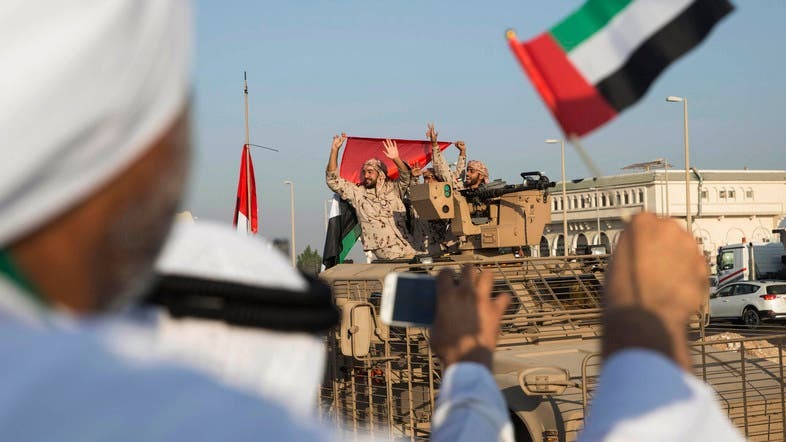 Shamsi was part of the Emirati ground troop contingent in Yemen, and was engaged to be married two months before he was deployed to the country. The latest casualties bring the death toll of Emirati soldiers fighting in Yemen to 75 since the operation commenced in March last year. Dozens of killed soldiers were brought home to the UAE last year, with leaders praising their commitment and nobility.